On November 5, 2018, the day after completing my sixth marathon, I started a new job, as an operational consultant at HACKD Fitness. HACKD was founded by my good friend, Pam Gold, who I have introduced to you in previous newsletters and you could learn more about on my website. I have always had- and have- huge admiration, respect, and love for Pam. And back in April, when she told me about her idea of HACKD and asked if I would like to work with her, I knew the answer was yes. For those who have trained with me, you know I believe wholeheartedly that you can get an incredibly effective workout without any equipment. Just your own body weight. This, to me, has always been hugely important for my clients to understand for them to feel empowered. As a new parent who cannot get out of the house; as a busy executive who is constantly traveling; through an effective sequence of movements which target particularly the body parts that are challenging to find in every day activity, you can still be in great shape and remain injury free. And with the exception of my first marathon at age 20, this is how I have trained myself throughout the next five. That being said, what if there is equipment out there that can truly maximize your results in minimum amount of time? In a safe, efficient way? 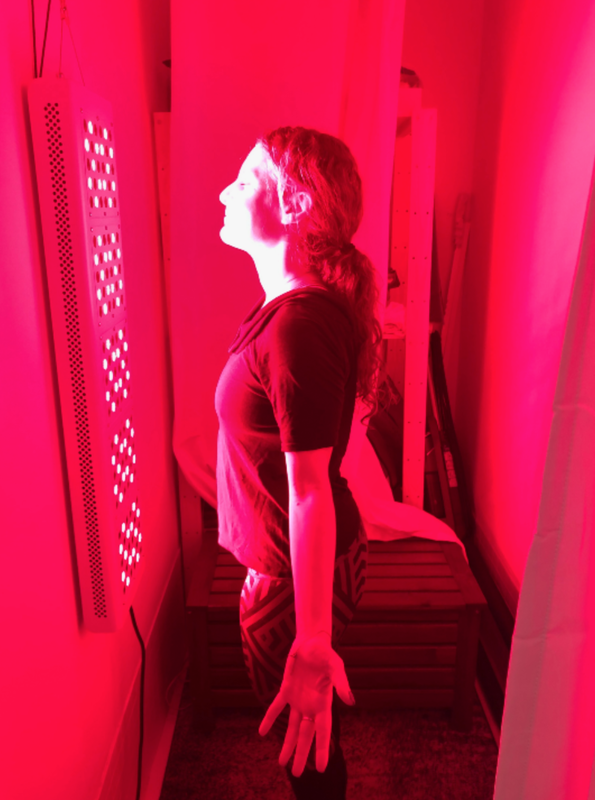 And, what if this equipment could help aid the natural reality of aging? The Signature Machine: What Is the ARX? I have mentioned this in a prior newsletter; age 30 and onwards, we lose a pound of muscle a year. This does mean that strength training does become incredibly important. Another fact: your body is stronger in the eccentric contraction (about 5 times stronger) than the concentric. Let's break this further down; take a biceps curl. You can lift less on the way up than you can on the way down. But are you going to switch a weight halfway through? No. You are going to choose a weight that you can do both the concentric and eccentric contraction. The ARX Machine meets you where you are and adapts. What this means is, whether you are doing a chest press, a lat row, a bicep curl, a pull down, torso flexion and extention, you name it, the machine with provide you with the resistance that your body truly needs at that very moment in time. Since your body is constantly being matched and maxed out, you need very little time on the machine. And, since your body is different every single day, and the machine gets to know you, the machine will adjust in real time. 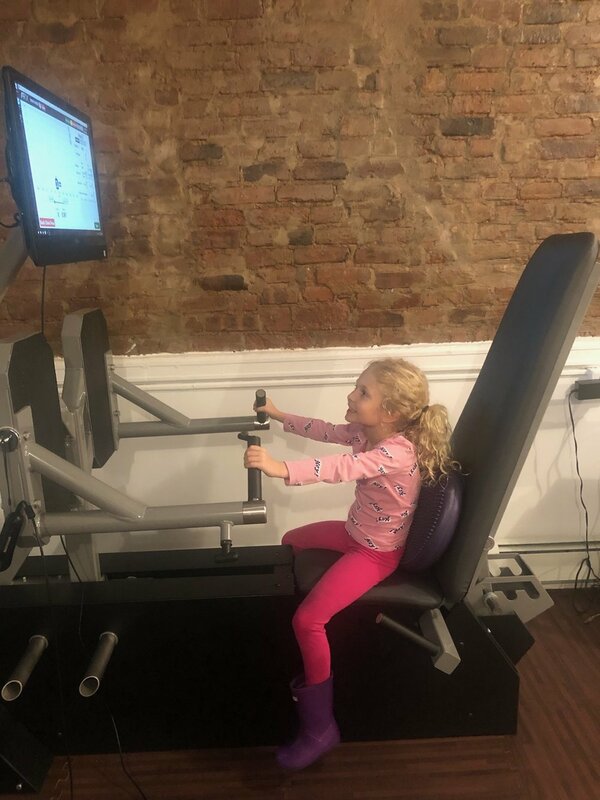 Whether you are an athlete looking to up your game; a novice in the fitness space; recovering from an injury; or, if you are someone who looks at working out as taking medicine; the machine is safe, efficient, and will help with bone density. I promise I have done it too; I just forgot to take a photo. Balance, balance, balance. HACKD also has the High Octane Ride and the Live O2 (more on that in a later blog) which are two bikes which target cardiovascular fitness. Yes, in a very efficient manner. And, while exercise and exertion is important, recovery is just as much so, particularly as we age. In a recent blog post, I also mention the fact that, as we get older, it takes our muscles longer to recover in all aspects. This could mean from an injury, or simply from a more strenuous workout. For more information immediately, you can check out their site. If you want to work with me one on one, join my live streams, or partner with me GOOD NEWS! You still can and I would love to work with you. On a personal level: my next big race will be the NYC Half Marathon on Sunday, March 17th, 2019. My first half marathon, at age 41. I am looking forward to see how my training changes now that I am getting HACKD.